Payment for all camps/trips is due IN ADVANCE of the trip, unless agreed with the leader in charge of that trip. Places may be forfeited should payment not be received by any due date, and any overdue payment will still remain payable. All deposits are non-refundable. Where there is a single payment for a camp or trip, this should be taken to constitute a non-refundable deposit. Other payments are generally non-refundable, in particular where cancellation is made after a payment deadline has passed. If attendance is cancelled the payment will remain payable. Signing a young person up to any trip or event constitutes an agreement to pay the full amount for that trip or event. In some circumstances payment will be taken after a trip. On these occasions, non-payment may result in suspension of membership of the group until payment has been made. Cancellation of attendance of a trip does not remove the requirement to pay unless this has been agreed with the Group Scout Leader or leader in charge of the trip. If amounts become overdue, two reminders will be sent by leaders. Should the amount remain outstanding after 21 days, a formal letter/email will be sent giving 7 days’ notice to make the payment, and explaining that unless payment is made within 7 days membership will be terminated. At least 7 days later, a further letter will be sent terminating membership. Upon membership being terminated, the relevant space will be offered to the next person on the waiting list. Should you wish to re-join the group, you will need to enter the waiting list afresh. Sectional leaders may, at their own discretion, offer deferments of payments or payments in instalments as appropriate. 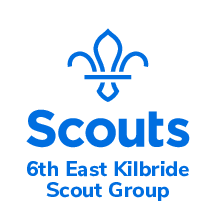 Requirements for greater amounts or repeat cases shall be referred to the Group Scout Leader for discussion.